We’re building on expensive land, and the costs of materials and labor are high too. The density needed to make deals work financially encourages us to build smaller units. So we are doing that. 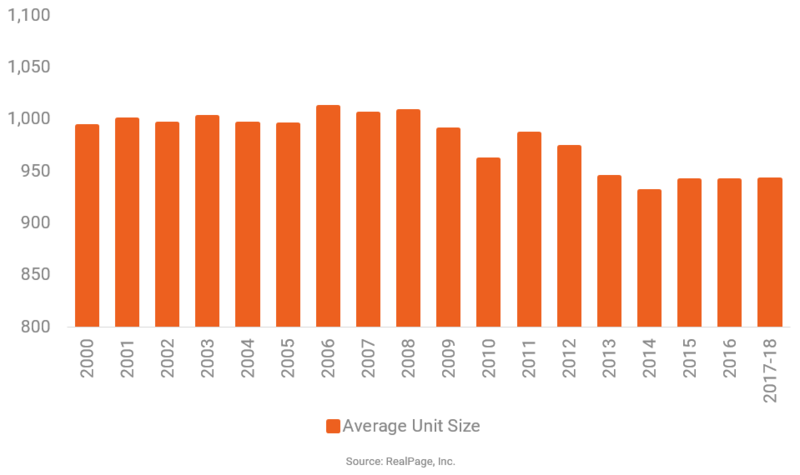 Average unit size in new construction has been ticking down since 2009, registering near 940 square feet over the past three to four years.